Driven by Tim’s photographs, which span 56 years, Lap Of Honour offers stories, anecdotes and interviews with legends from that era; notably Bette Hill, Sir John Whitmore, and Stirling himself. It captures the action, fun, and glory of the Goodwood Revival and culminates in a portrait of Moss in modern times, photographed in 33 cars with his input on each, and over 20 tributes including Mark Knopfler, David Coulthard and Murray Walker. Created without press privileges, LAP OF HONOUR is an intimate and genuine ‘fan’s eye view’ making this unlike any other book on Motor Racing. He gave it all up at 16, caving to parental pressure to enrol him for Oxford. He failed. When Jimi Hendrix arrived, he taught himself electric guitar and drifted off in another direction. This led to a career playing thousands of gigs, and awakened his love of performing and writing his own songs, working with many top songwriters. In 1998 his passion was re-born with the Goodwood Revival. 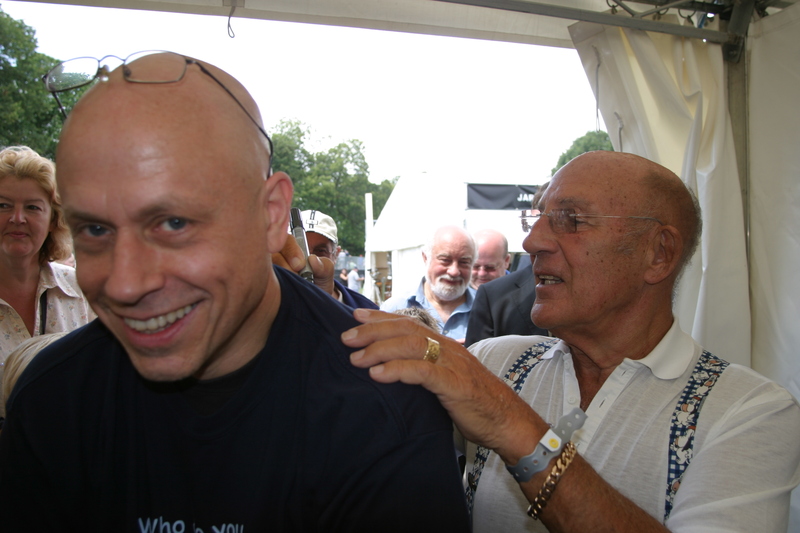 A picture of Stirling Moss in action led to a life-changing meeting with “The Maestro”.